A mother in New Mexico chased down a driver who she says snatched her daughter off the street. KOB's Danielle Todesco reports. A 31-year-old man was charged with kidnapping Thursday, a day after the mother of a snatched 4-year-old girl chased down a car and rammed it with her own. Albuquerque police said David Jesus Hernandez ran away after the crash. According to authorities, the victim's mother did not realize he had pushed the child from his car while fleeing the apartment complex where the girl had been taken. 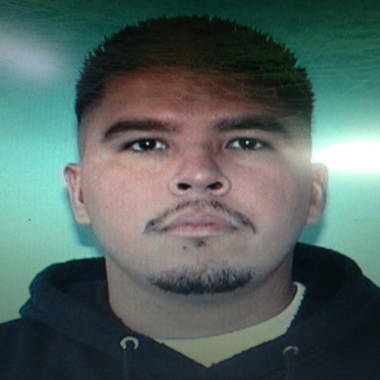 David Jesus Hernandez, 31, is wanted for questioning in a child kidnapping that took place Wednesday in Albuquerque. A manhunt for Hernandez ended Thursday night when he turned himself in. Hernandez was being held Friday on charges of kidnapping and child abuse, according to the Metropolitan Detention Center in Albuquerque. Police said they were investigating a "possible connection" between Wednesday's incident and one last week in which a 6-year-old girl was kidnapped, driven away in a car and sexually assaulted. In the latest incident, the victim was playing in her yard about 6:30 p.m. when a man forced her into a silver Buick, police said. As he took off, some teenagers hanging around outside ran inside and alerted the child's mother, police said. As she jumped into her own car to chase the Buick, the suspect pushed the little girl out of his vehicle. The mother didn't notice and kept going after the man. "She was involved in a high-speed pursuit," Police Chief Ray Schultz said. After tearing down several streets, the mother rammed the Buick to get it to stop, police said. The driver jumped out and fled on foot. "This appears to be a complete stranger abduction," Schultz said. The 4-year-old was found wandering near the apartment complex. Last week's incident also involved a man driving a silver or gray car, police said.